Be compliant when sharing data. 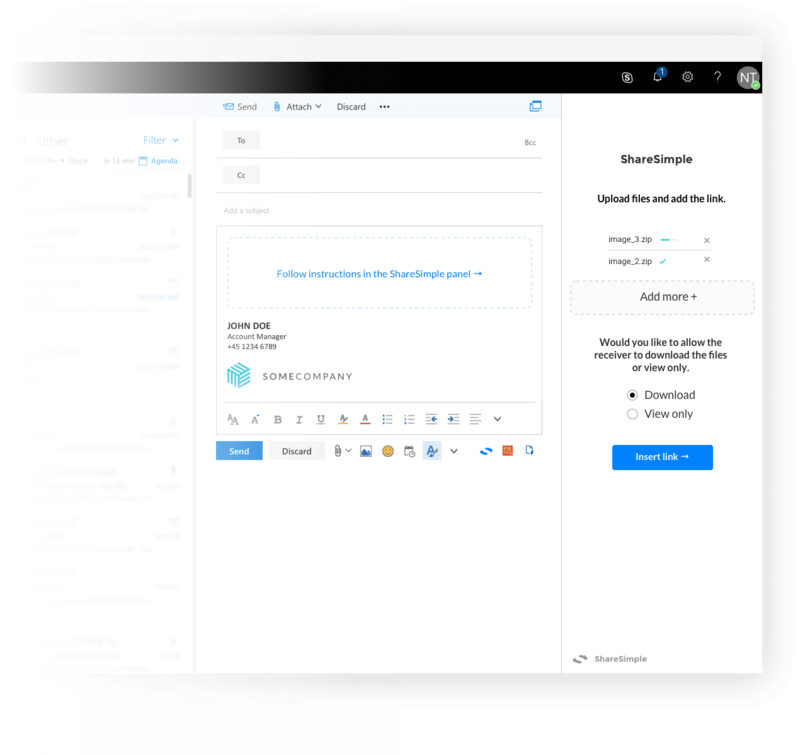 ShareSimple is an Outlook plug-in which helps organizations comply with GDPR & more when sending or receiving sensitive data. Download direct Microsoft AppSource today or schedule a call to learn more. Download from Microsoft AppSource today. For tutorial videos and more, visit our resources page. We will never share your sensitive personal data with anyone. Less sensitive data about our users may be processed or shared to help us provide or improve our services.